Escape the cities and make the most of your holiday soaking up the sky, the sea, and the sunshine in the French Riviera with our guide to the best escapes along the Côte d’Azur. With myriads of things to do in Provence, mountains of things to see, tons of tastes to try, choosing just a few can be a nightmare. Not to worry. Here’s a little guide to help ease your travel-planning woes and help you make the best of your French Riviera holiday with some great getaways and enchanting escapes. 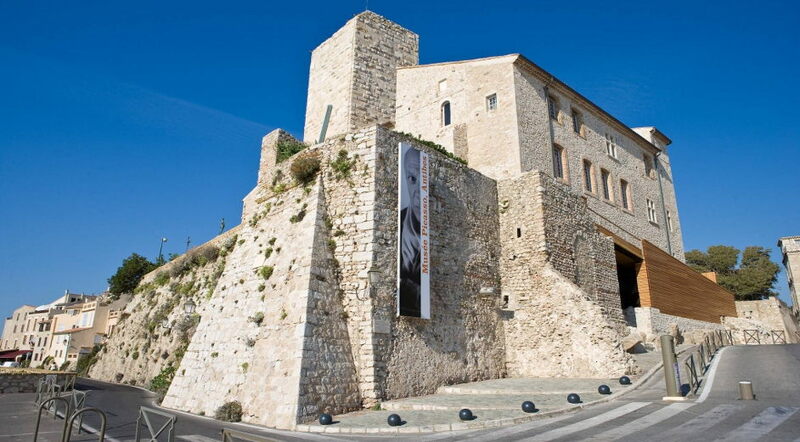 Perched almost precariously atop the cliffs in Antibes that tumble into the sea, the Musée Picasso is truly breathtaking. And that’s before you step inside. Contained within rough stone walls that date back to Roman antiquity are some of the greatest works by one of the most important French artists: Pablo Picasso. In the castle where he painted for many years, art-lovers will be treated to some of Picasso’s best-known pieces surrounded by the heart-stopping azure vistas that inspired them. The gardens alone of the Maeght Foundation are worth the short, scenic journey from Nice to the stunning mountains of Saint-Paul-de-Vence. With fascinating works of art by Miró, Giacometti, Chagall, and Tal-Coat fully integrated into the lush lawns and modern structures, the Maeght Foundation is a perfect place to relax and take in some culture. With touring exhibitions and an enormous selection of important works inside, its worth taking a whole afternoon to explore. While you’re in the area around Antibes, why not stop by the luxurious Hotel Cap-Eden-Roc? This five-star luxury hotel overlooking the Mediterranean from its perch on the Antibes point is a top choice for film stars coming to the Cannes Film Festival. Try the most exquisite tastes of the Riviera at one of the distinguished restaurants, surrounded by sunlight and the sounds of the surf just below the terrace. Or take in the scenery from one of the chic, elegant bars. While you’re at it, why not hide away and stay a night in one of the sumptuous rooms, enchanting suits, or paradisiacal villas? If you feel like heading inland, try taking the famous train from Nice, the Train des Pignes, to the town of Dignes-les-Bains. The last remnant of four railways, this one takes you on a ravishing journey through the mountains of Provence and fields of lavender to a town where the baths are so nice they are part of its name. The thermal springs in Dignes-les-Bains are said to have healing powers, but maybe just the utter relaxation they bring, surrounded by mountains and the scent of lavender, is enough to cure most things. A perfect getaway from the city, Dignes-les-Bains is a soothing place to relax and explore.